In the graphic posted, Maradona claimed he achieved 75 per cent efficiency, with 18 victories and six defeats in 24 matches during his tenure as Argentina coach, including the World Cup in South Africa, a tournament in which his team was eliminated in the quarterfinals. In second place is Gerardo Martino, who appears with 74 per cent in 29 games. Then Alejandro Sabella, runner-up in Brazil 2014, with 72 per cent in 41 games, Alfio Basile and Marcelo Bielsa, both with 70 per cent in 48 and 68 games, respectively. 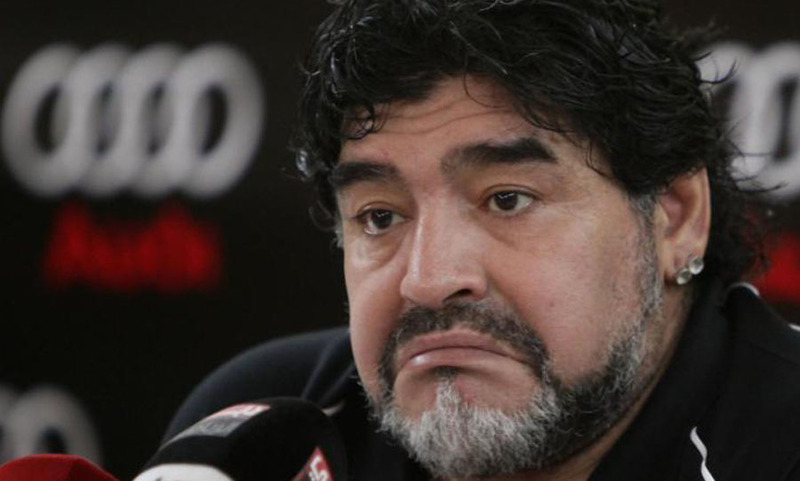 It would be recalled that Maradona was in charge when Argentina piped Nigeria 1-0 in the group stage of the 2010 World Cup in South Africa. Meanwhile, a former Argentine football official committed suicide Tuesday, the same day he was accused of bribe-taking in the Fifa corruption trial that opened in New York this week, Argentine media reported. Three South Americans are on trial in New York — Jose Maria Marin, ex-head of Brazil’s Football Confederation; former Fifa vice president Juan Angel Napout and Manuel Braga, who led Peru’s soccer federation until 2014.